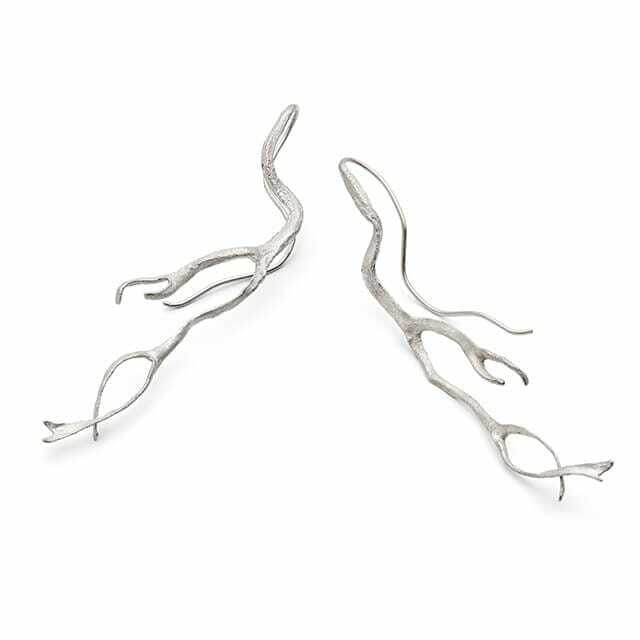 Our Long Seaweed Earrings have been cast in silver from an original seaweed sculpture, and then finished in a soft matt polish. Made in Cornwall. 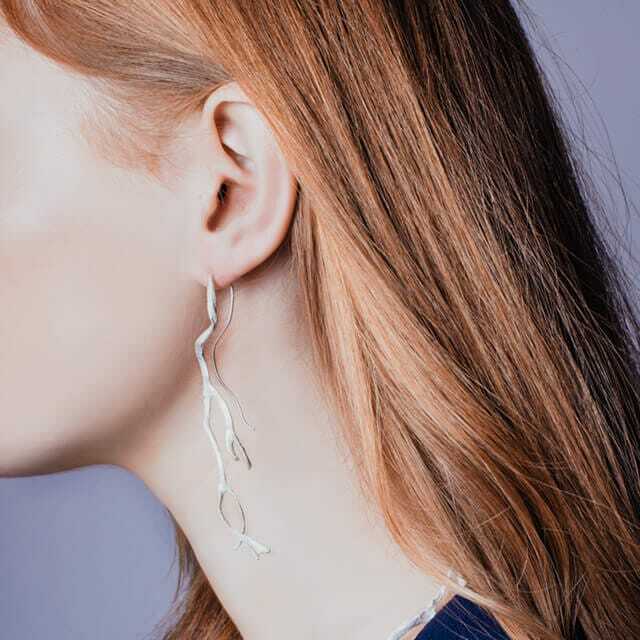 These statement earrings are inspired by the unique sculptural forms of seaweed found along the rugged Cornish coastline.